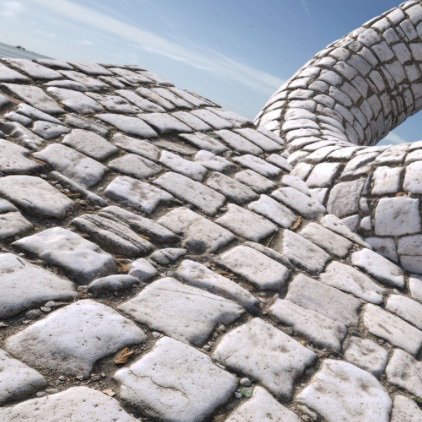 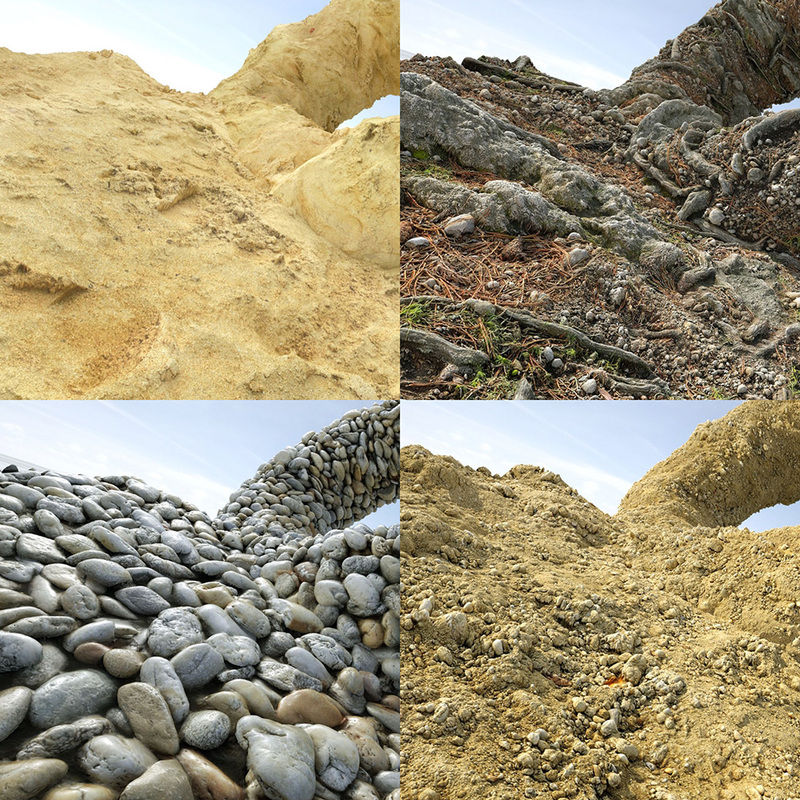 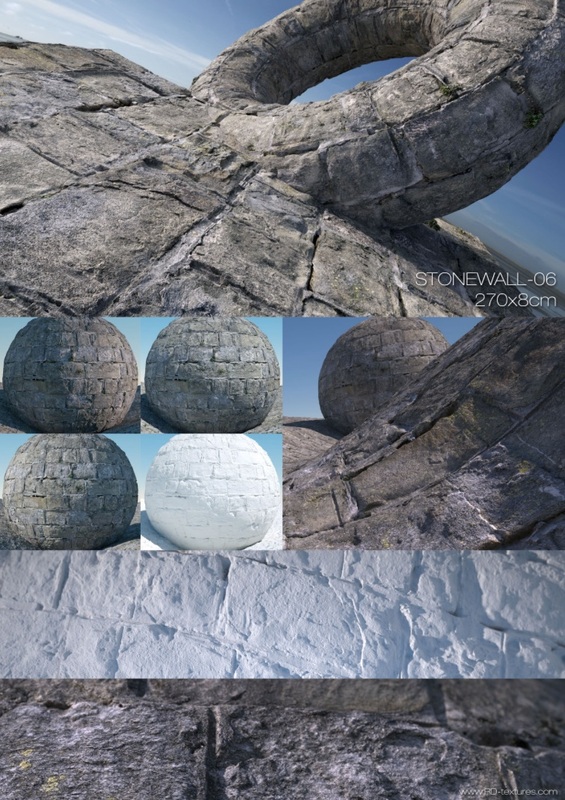 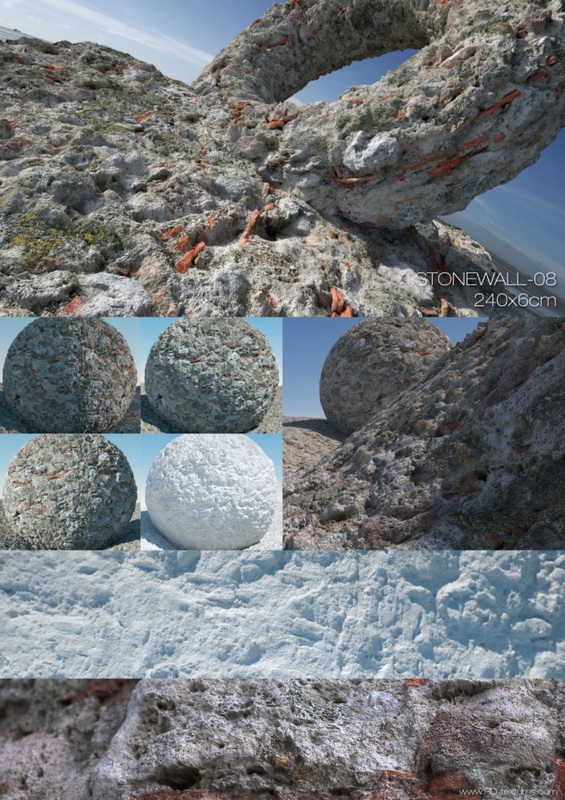 Stonewall-Pack-1 is a texture set created from 7 high detailed, scanned surfaces. 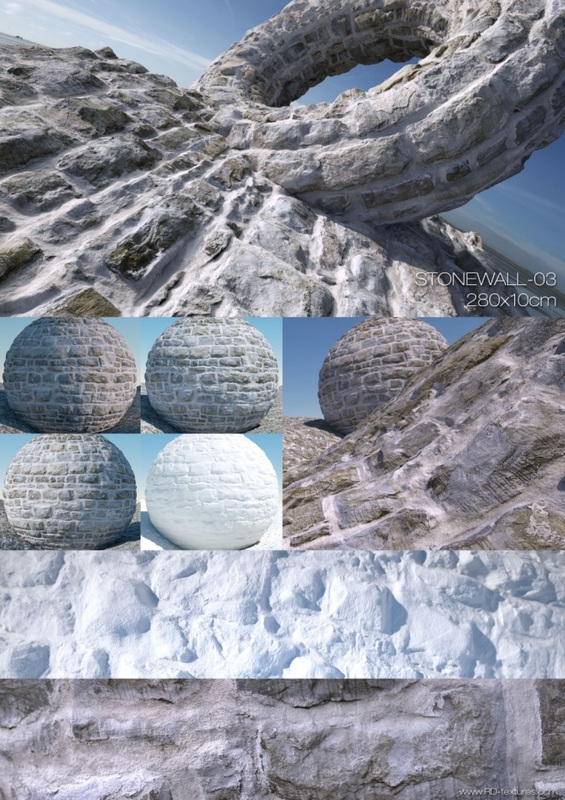 This product is available as digital download only. 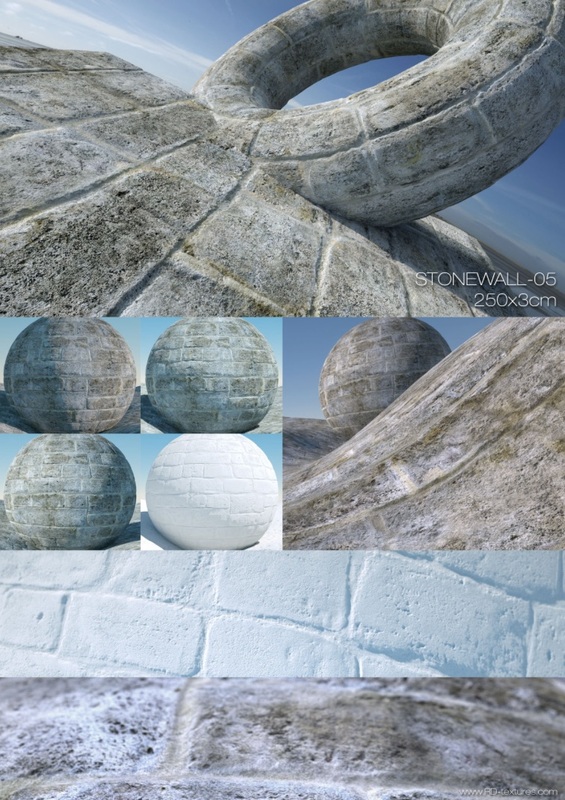 The pack contains several high resolution texture maps for Color, Bump, Normal, Glossy/Specularity and Displacement that can be used with almost any renderer. 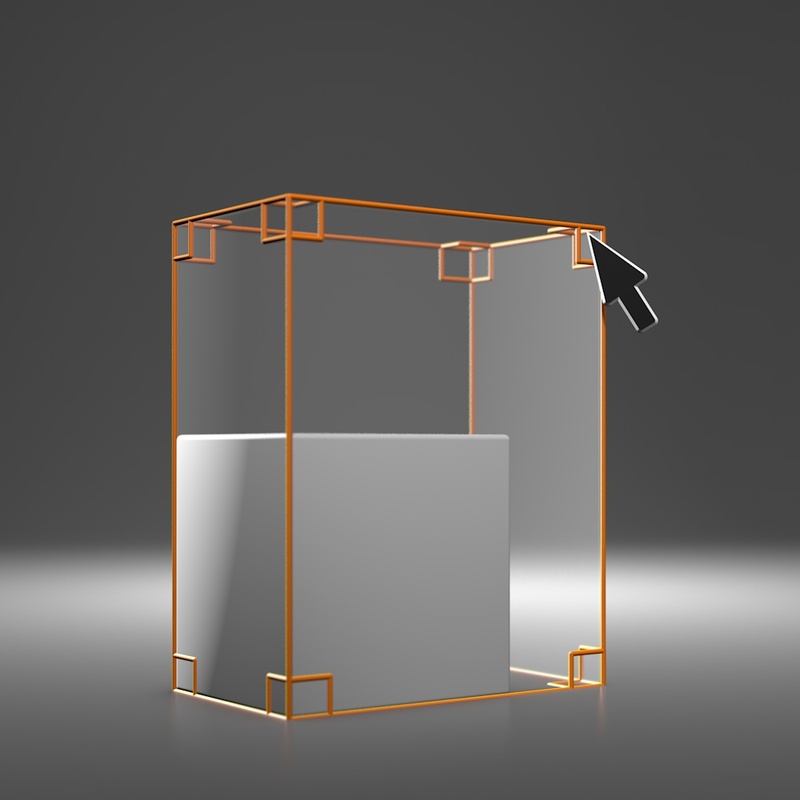 As a special service for Cinema 4D users, you can download free Content Browser Libraries here. 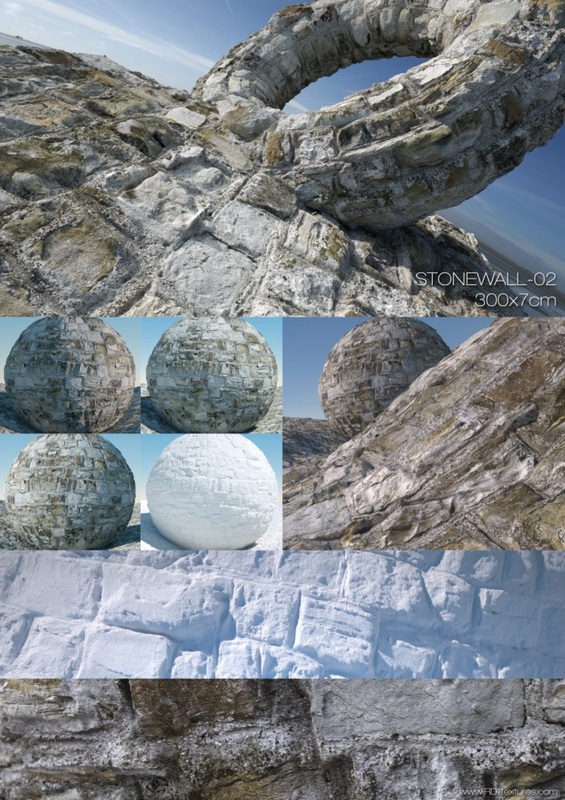 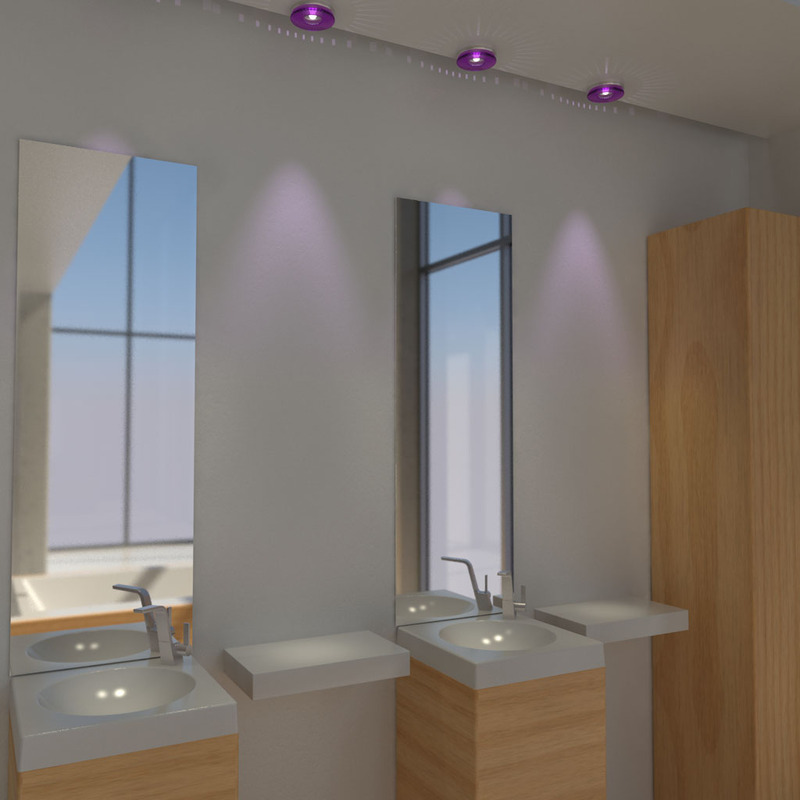 They are already prepared for Rendering with Advanced Render or Octane. 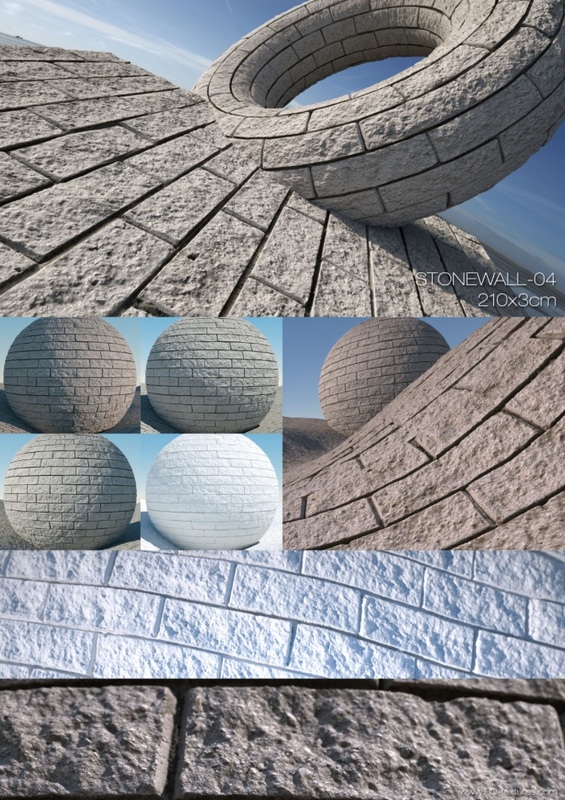 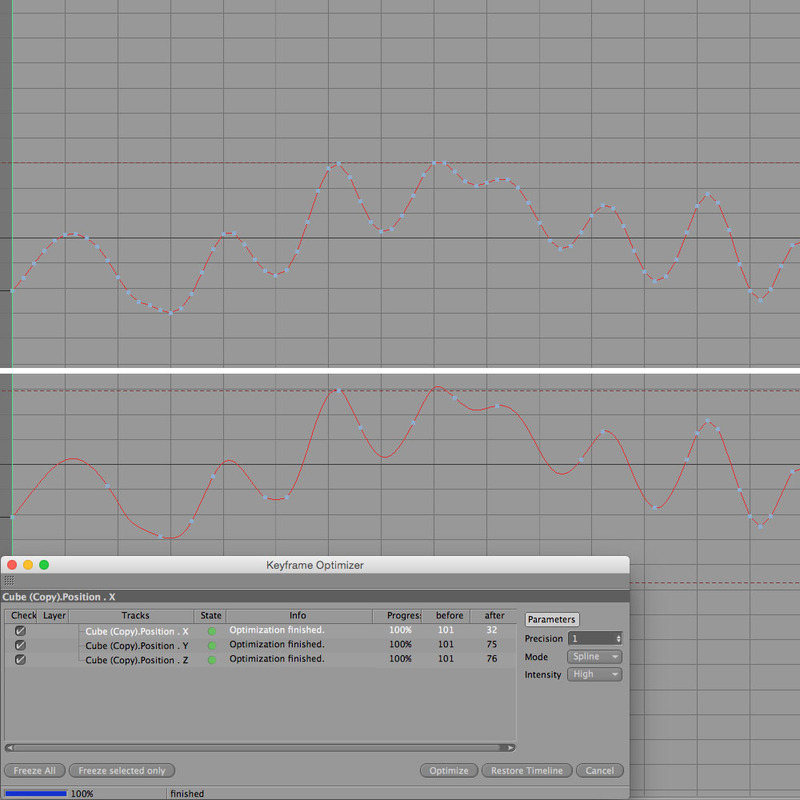 You just have to link the bought RDT textures to the corresponding material channels. 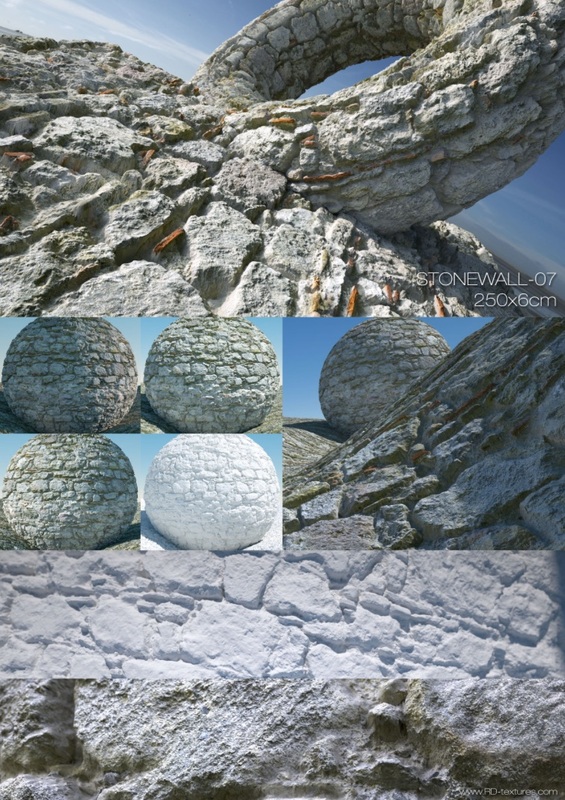 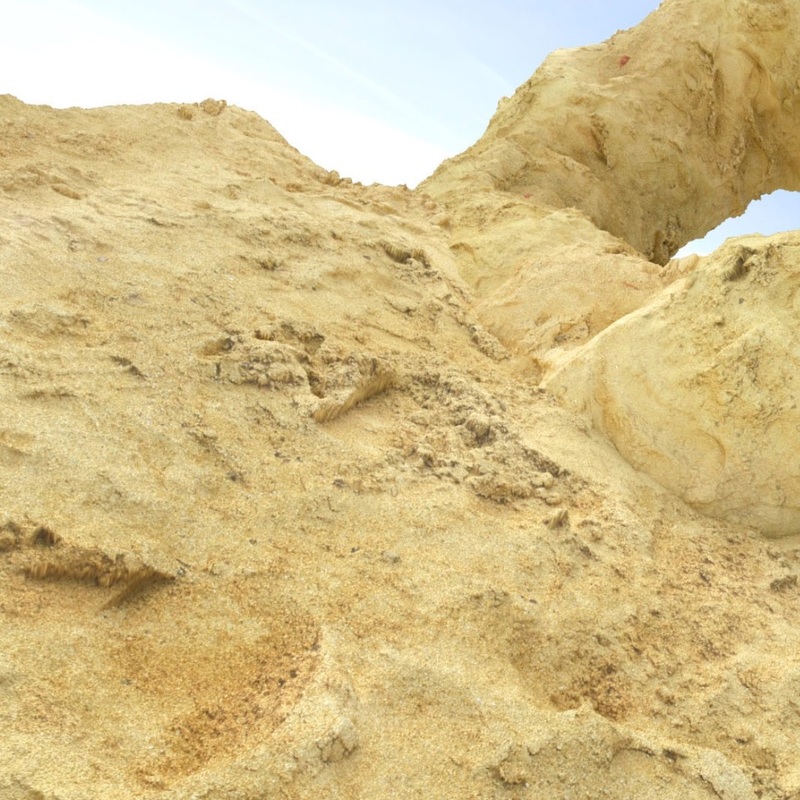 Highly detailed scanned informations are optimized, corrected and baked into several image-textures in order to setup a material for CG-renderings (passive and realtime). 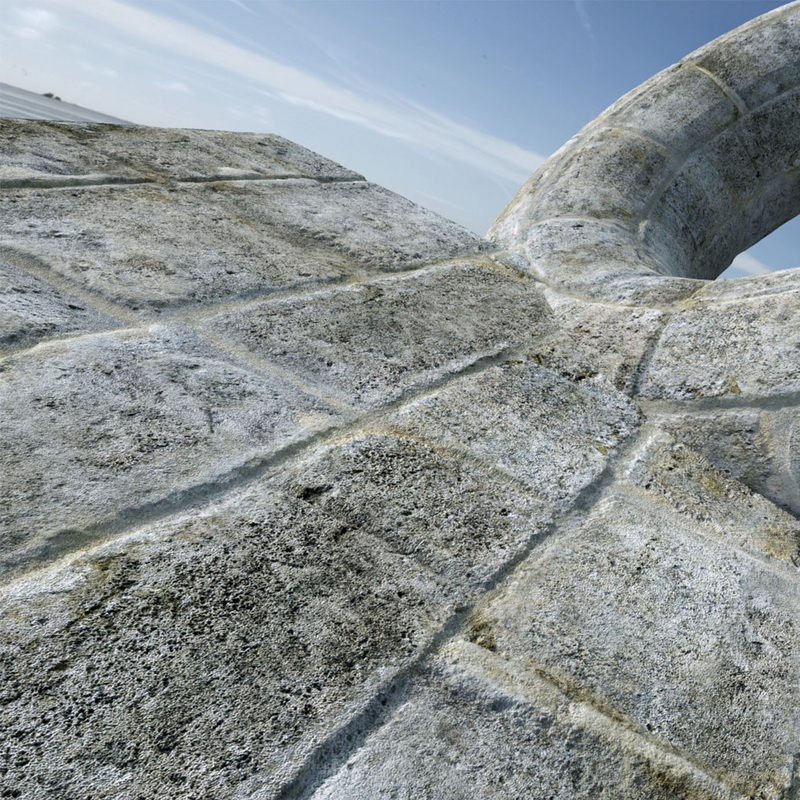 By using the provided depthmap for displacement you can even reconstruct the geometry of the surface.